Ray Takeyh is a senior fellow at the Council on Foreign Relations (CFR) and a former official in the Obama State Department who some observers regard as Washington’s “go-to” Iran analyst. In his writings and frequent testimonies before Congress, Takeyh provides extravagant characterizations of Iran’s nuclear program and advocates for increased pressure on the country. 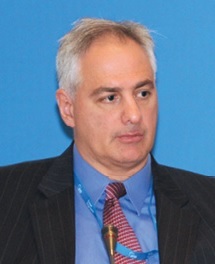 Although often described as “centrist,” Takeyh actively works with neoconservatives to promote a hawkish agenda on Iran. In September 2014, Takeyh also coauthored an op-ed with Ross and Edelman that argued against any cooperation with Iran in the war against the so-called “Islamic State” group in Iraq and Syria. “The coincidence of mutual opposition to a radical Sunni terrorist group should not blind us to the enduring threat that the mullahs represent,” Takeyh and his co-authors said. Takeyh is a member of the Iran Task Force of the Jewish Institute for National Security Affairs’ (JINSA), a neoconservative advocacy organization that has been critical of the Obama administration’s nuclear negotiations with Iran and pushed for U.S. military intervention in the Middle East. Takeyh is also a founding member of the Iran Strategy Task Force, an organization created with the collaboration with Freedom House and the Progressive Policy Institute. Another founder of the Task Force, which has been described as aiming to shift “American policy” on Iran “toward a more aggressive focus on democracy,” is Josh Block, a former spokesperson for the American Israel Public Affairs Committee (AIPAC) and current President and CEO of The Israel Project. In addition to his role at CFR, Takeyh is an adjunct professor at Georgetown University. He was previously also a fellow at the Washington Institute for Near East Policy, a spinoff of the American Israel Public Affairs Committee, and taught at the National War College, Yale University, and University of California, Berkeley. Takeyh’s spouse is Suzanne Maloney, a widely respected analyst based at the Brookings Institution. In apparent contrast to Takeyh, Maloney has generally supported moderate approaches in relation to Iran. Nevertheless, the two have a track record of jointly authoring op-eds and articles. Takeyh has for years taken a stridently alarmist stance with respect to Iran’s nuclear program. In 2011, Takeyh wrote in a Washington Post op-ed that “in the next few years Iran will be in the position to detonate a nuclear device,” a view that is at odds with U.S. intelligence estimates, which have reported that Iran ceased nuclear weapons work. Takeyh has also argued that the 1953 coup against Iranian Prime Minister Mohammad Mossaddeq, widely attributed by historians and even former CIA operatives as having been a joint operation by American and British intelligence agencies, was largely the work of Iranian clergy. With the breakthrough in nuclear negotiations between Iran and the P5+1 in late 2013 and the signing of an interim nuclear deal, Takeyh came out firmly on the side of those trying to hamper progress towards a diplomatic settlement. He maintained his opposition after a deal was reached in July 2015, arguing it should be rescinded by Congress. Takeyh has framed a nuclear agreement between Iran and the P5+1 as the “most advantageous path to nuclear arms” for Iran. “To continue to build up his atomic infrastructure without the protective umbrella of an agreement exposes Iran to economic sanctions and the possibility of military retribution,” he wrote in March 2015. Takeyh has also stated that any nuclear agreement with Iran that does not have congressional approval would not last for long. “The White House should appreciate that any agreement that does not have the support the Congress is unlikely to survive the Obama presidency,” he testified before the House Committee on Foreign Affairs in January 2015. With the successful conclusion of the talks in July 2015, Takeyh pushed Congress to rescind the deal. “No agreement is perfect, but at times the scale of imperfection is so great that the judicious course is to reject the deal and renegotiate a more stringent one. The way for this to happen is for Congress to disapprove the JCPOA,” he wrote in a Washington Post op-ed co-authored with Eric Edelman shortly after the deal was reached. “For a politician with delusions of his own grandeur, the idea of high-profile negotiations with Washington offered an opportunity to strut on the world stage as the champion of a new, anti-American world order,” the two wrote of Ahmadinejad. The pretext for their evolving view of the Iranian state, as the two writers made clear by the end of their article, was to push the United States to abandon diplomacy and increase pressure on Iran as a result of the—now apparently diplomatic—Ahmadinejad being supposedly sidelined. Takeyh served briefly in the State Department as senior adviser on Iran to Dennis Ross, who was then Secretary of State Hillary Clinton’s special adviser for the Persian Gulf and Southwest Asia. Ross, who has strong neoconservative ties, brought on Takeyh as an adviser in April 2009. However, Takeyh’s tenure at the State Department proved to be extremely short-lived. When Ross was promoted to the National Security Council in August 2009, Takeyh did not join him but instead returned to the Council on Foreign Relations. Nima Shirazi, “The Talented Mr. Takeyh,” Antiwar, February 7, 2013, http://original.antiwar.com/nima-shirazi/2013/02/06/the-talented-mr-takeyh/. Jim Lobe, “Further Reflections on Bibi’s Speech and His Friends,” LobeLog, March 7, 2015, http://www.lobelog.com/further-reflections-on-bibis-speech-and-his-friends/. Dennis Ross, Eric Edelman, and Ray Takeyh, “Time to Take It to Iran,” Politico, January 23, 2015, http://www.politico.com/magazine/story/2015/01/iran-yemen-coup-114532.html#.VP48PvnF8Ro. Eric Edelman et al, “Iran remains America’s biggest challenge,” The Washington Post, September 18, 2014,http://www.washingtonpost.com/opinions/2014/09/18/f786fd1c-3f56-11e4-9587-5dafd96295f0_story.html?wpisrc=nl_politics&wpmm=1. JINSA, “The Gemunder Center Iran Task Force,” http://www.jinsa.org/gemunder-center-iran-task-force. Freedom House, "Press Release: Freedom House and Progressive Policy Institute announce Iran Strategy Task Force," March 30, 2011,http://freedomhouse.org/template.cfm?page=70&release=1377. Council of Foreign Relations, “Ray Takeyh,” http://www.cfr.org/experts/democratization-elections-ethnicity-minorities-and-national-identity/ray-takeyh/b9599. Ray Takeyh, “The March toward a nuclear Iran,” The Washington Post, August 3, 2011, http://www.washingtonpost.com/opinions/the-march-toward-a-nuclear-iran/2011/07/29/gIQAFcypsI_story.html. Philip Giraldi, “Feeding the Frency over Iran,” The American Conservative, February 19, 2012, http://www.theamericanconservative.com/feeding-the-frenzy-over-iran/. Kenneth Pollack and Ray Takeyh, “Doubling Down on Iran,” The Washington Quarterly, Fall 2011,http://www.brookings.edu/~/media/research/files/articles/2011/9/09%20iran%20pollack%20takeyh/09_iran_pollack_takeyh.pdf. Stephen Walt, “Slippery when Read,” Foreign Policy, September 30, 2011, http://www.foreignpolicy.com/posts/2011/09/30/slippery_when_read. Ray Takeyh, “What Really Happened in Iran,” Foreign Affairs, July/August 2014, http://www.foreignaffairs.com/articles/141527/ray-takeyh/what-really-happened-in-iran. Ali Gharib, “Takeyh’s History Lesson: Mossadegh and 1953,” LobeLog, August 18, 2010, http://www.lobelog.com/takeyhs-history-lesson-mossadegh-and-1953/. Ray Takeyh, “The Strategic Genius of Iran’s Supreme Leader,” The Washington Post, March 1, 2015, http://www.washingtonpost.com/opinions/the-strategic-triumph-of-irans-supreme-leader/2015/03/01/9cbfdd48-bec4-11e4-8668-4e7ba8439ca6_story.html. Eric Edelman et al, “White House should seek congressional endorsement for any Iran deal,” The Washington Post, May 23, 2014,http://www.washingtonpost.com/opinions/white-house-should-seek-congressional-endorsement-for-any-iran-deal/2014/05/23/2f3dd3d2-e130-11e3-9743-bb9b59cde7b9_story.html. Paul Pillar, “Congress and Attempts to Kill the Iran Deal,” National Interest, May 29, 2014, http://nationalinterest.org/blog/paul-pillar/congress-attempts-kill-the-iran-deal-10569. Jim Lobe, “Spoiler Alert: Iran Hawks Take Wing Against Nuclear Deal,” LobeLog, July 11, 2014, http://www.lobelog.com/spoiler-alert-iran-hawks-take-wing-against-nuclear-deal/. Dereck Davison, “Neocons Agree: Pressure Iran Forever,” LobeLog, July 30, 2014, http://www.lobelog.com/neocons-agree-pressure-iran-forever/. Ray Takeyh, “Iran Nuclear Negotiations After the Second Extension: Where Are They Going?” Council on Foreign Relations, January 28, 2015,http://www.cfr.org/iran/iran-nuclear-negotiations-after-second-extension-they-going/p36035. Ray Takeyh, “How an Iran Nuclear Deal Would Upend U.S. Non-Proliferation Policy,” Wall Street Journal, July 4, 2015,http://blogs.wsj.com/washwire/2015/07/04/how-an-iran-nuclear-deal-would-upend-u-s-non-proliferation-policy/. Eric Edelman, Robert Joseph, and Ray Takeyh, “The Next President Can Torch Obama’s Iran Deal,” Politico, May 27, 2015,http://www.politico.com/magazine/story/2015/05/2016-elections-obama-successor-iran-118331.html#ixzz3fF3wURzh. Eric Edelman and Ray Takeyh, “On Iran, Congress should just say no,” The Washington Post, July 17, 2015,https://www.washingtonpost.com/opinions/on-iran-congress-should-just-say-no/2015/07/17/56e366ae-2b30-11e5-bd33-395c05608059_story.html. Ray Takeyh, “The Iran deal is a big bet on a revolutionary outlier,” The Washington Post, August 6, 2015, https://www.washingtonpost.com/opinions/the-iran-deal-is-a-big-bet-on-a-revolutionary-outlier/2015/08/06/13d213f8-3a10-11e5-b3ac-8a79bc44e5e2_story.html. Roger Cohen, “Into the Eye of a Storm,” The New York Times, August 5, 2009, http://www.nytimes.com/2009/08/06/books/06cohen.html. Suzanne Maloney and Ray Takeyh, “Pathway to Coexistence: A New U.S. Policy toward Iran,” Brookings, December 2008,http://www.brookings.edu/research/papers/2008/12/iran-maloney. Suzanne Maloney and Ray Takeyh, “Ahmadinejad’s Fall, America’s Loss,” The New York Times, June 15, 2011,http://www.nytimes.com/2011/06/16/opinion/16Takeyh-Maloney.html?_r=2. 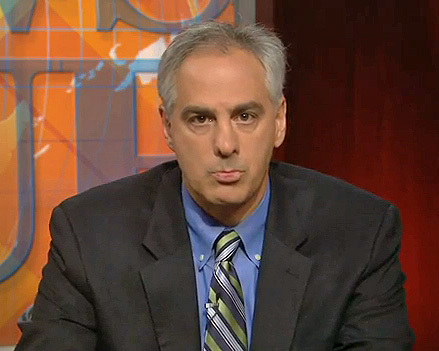 Laura Rozen, “Ross Staffs Up,” Foreign Policy, http://thecable.foreignpolicy.com/posts/2009/03/30/ross_staffs_up. Laura Rozen, “Obama administration anticipated Iran talks response,” Foreign Policy, September 1, 2009,https://thecable.foreignpolicy.com/posts/2009/09/01/obama_administration_anticipated_iran_talks_offer_response.